The Best Orthodox blogs from thousands of popular Christian websites on the web using search and social metrics. Data will be refreshed once a week. Also check out Orthodox Youtube Channels. Orthodox newsletter is a comprehensive summary of the day's most important blog posts and news articles from the best Orthodox websites on the web, and delivered to your email inbox each morning. To subscribe, simply provide us with your email address. About Blog Orthodox Christianity is a project of Moscow Sretensky Monastery providing Orthodox news, feasts, saints, theology, history and Christian encouragement in today's world. Facebook fans 84,415. Twitter followers 10,497. America and Canada About Blog The Mission of the Orthodox Church in America, the local autocephalous Orthodox Church, is to be faithful in fulfilling the commandment of Christ to “Go into all the world and make disciples of all Nations, baptizing them in the name of the Father, and of the Son and of the Holy Spirit. Facebook fans 37,078. Twitter followers 13,208. About Blog The Greek Orthodox Archdiocese of America, headquartered in the City of New York, is an Eparchy of the Ecumenical Patriarchate of Constantinople. The mission of the Archdiocese is to proclaim the Gospel of Christ, to teach and spread the Orthodox Christian Faith, to energize, cultivate, and guide the life of the Church according to the Orthodox Christian Faith and Tradition. Facebook fans 183,166. Twitter followers 19,722. About Blog Pravmir is a Russian Orthodox Church Website Its mission is to provide daily high-quality articles in English on how to be an Orthodox Christian in today’s world. Facebook fans 19,473. Twitter followers 2,011. About Blog The Institute for Orthodox Christian Studies is the pan-Orthodox house for theological studies in the ancient university city of Cambridge, England functioning with the blessing of the Pan-Orthodox Episcopal Assembly for Great Britain and Ireland. Facebook fans 3,279. Twitter followers n/a. Chesterton, IN About Blog Ancient Faith Ministries exists to carry out the Great Commission of Jesus Christ through accessible and excellently-crafted publications and creative media that educate, edify, and evangelize, leading to a living experience of God through His Holy Orthodox Church. Facebook fans 20,531. Twitter followers 13,582. North America About Blog We are an Archdiocese of the Orthodox Patriarchate of Antioch. Together we work to nurture the Orthodox Christians of this land and to bring America to the ancient Orthodox Christian Faith. Facebook fans 7,391. Twitter followers 435. About Blog Thoughts, news,, sermons and more from The Russian Orthodox Church. About Blog News from Serbian Orthodox Church. Yonkers, New York About Blog Welcome to St. Vladimir's Orthodox Theological Seminary. The Seminary prepares students for ministry as bishops, priests, deacons, lay leaders, and scholars so that they may build up Orthodox communities, foster Church growth through mission and evangelism, teach the Orthodox faith, and care for those in need. Facebook fans 9,252. Twitter followers 7,577. About Blog The OCP Society firmly believe that both the Byzantine (Eastern) Orthodox Churches and the Oriental Orthodox Churches are the true heirs to the One, Holy, Catholic and Apostolic Church of Christ, which was the Church of the apostles and the holy fathers. Facebook fans 4,442. Twitter followers 1,419. About Blog The Mission of the American Carpatho-Russian Orthodox Diocese is to honor and glorify Almighty God; to foster love for the Saviour of mankind, Jesus Christ, and to continue His redemptive and life-giving work. Facebook fans 2,024. Twitter followers 298. North America About Blog Orthodox Christian Fellowship (OCF) is the official North American campus ministry of the Assembly of Canonical Orthodox Bishops of North and Central America. OCF transforms the lives of college students in the United States and Canada by guiding them along the path to Jesus Christ through His Church, cultivating a campus community of worship, witness, service, fellowship and education. Facebook fans 12,073. Twitter followers 3,393. About Blog I am Fr. John A. Peck, pastor of All Saints of North America Orthodox Church. The theme of this website is the Journey for those on the path to the Orthodox faith. Chesterton, IN About Blog Glory to God for All Things is written and maintained by Fr. Stephen Freeman. All unsigned posts are written by him. Fr. Stephen is an Orthodox Priest under the jurisdiction of the Orthodox Church in America. He serves as the Rector of St. Anne Orthodox Church in Oak Ridge, Tennessee. Facebook fans 3,611. Twitter followers 13,582. Georgia, USA About Blog The Ministry Site of Fr. Barnabas Powell. The Mission of Faith Encouraged is to be a catalyst for the appreciation and the adoption of an intentional practice of the Orthodox Christian faith. Facebook fans 3,611. Twitter followers 1,439. Chesterton, IN About Blog A Smorgasbord: Saints' Stories, Seasons, Society, Seven Sins, plus Travels mostly to Greece and who knows what next? by Father Bill Olnhausen. Chesterton, IN About Blog The Scriptures in the Orthodox Church. About Blog Public Orthodoxy is a peer-reviewed blog produced by the Orthodox Christian Studies Center of Fordham University. Our goal is to feature insightful, provocative op-ed style pieces from scholars of Orthodox Christianity. Public Orthodoxy seeks to promote conversation by providing a forum for diverse perspectives on contemporary issues related to Orthodox Christianity. Facebook fans 1,090. Twitter followers n/a. Fort Worth, TX About Blog Discussions of Eastern Christianity, often with a Byzantine flavor. Posts on the Oriental Orthodox, Eastern Orthodox, Eastern Catholic, and even the occasional church of the West. About Blog The Patriarchal Parishes in the USA is a canonical branch of Russian Orthodox Church combining parishes and monasteries in the United States and Mexico. Facebook fans 1,691. Twitter followers n/a. About Blog Fr. Ted Bobosh is a priest in the Orthodox Church in America. The blogs which are posted here are his meditations and observations as well as offering some materials from others which have influenced his thinking. South Bound Brook, NJ About Blog The Assembly of Canonical Orthodox Bishops of the United States of America is one of thirteen bishops. The purpose of the Assembly of Bishops of the United States of America is to preserve and contribute to the unity of the Orthodox Church by helping to further her spiritual, theological, ecclesiological, canonical, educational, missionary and philanthropic aims. Facebook fans 4,116. Twitter followers 14. About Blog The Orthodox Peace Fellowship of the Protection of the Mother of God is an association of Orthodox Christian believers seeking to bear witness to the peace of Christ. We commit ourselves to prayer for enemies and endeavor to communicate God’s love for them, recognizing our own violence and praying that, through Christ’s saving death on the Cross, we will be reconciled with God and with each other. Naples, FL About Blog The American Orthodox Institute is a research and educational organization that engages the cultural issues of the day within the Orthodox Christian moral tradition. AOI is the creation of Fr. Johannes L. Jacobse, Orthodox priest, cultural critic and independent scholar. About Blog News and announcements from The Ukrainian Orthodox Church of the USA located in South Bound Brook, NJ. Facebook fans 2,456. Twitter followers 1,139. Facebook fans 382. Twitter followers 180. Chesterton, IN About Blog Homilies and Commentary on the Christian Life Today. About Blog Hello, I’m Sylvia. I started this blog in 2008 to simply interact with other moms in the same phase of life I was in. So, I created a place where parents could meet and talk about all the mishaps and triumphs of raising children within the Orthodox Faith. Facebook fans 6,965. Twitter followers 5. Facebook fans 1,075. Twitter followers 40. About Blog Welcome! My name is Sarah. I am an Orthodox Christian, wife, mom to three little ones, teacher, and writer. My mission is to help women live out the ancient faith in the modern world. Facebook fans 1,366. Twitter followers n/a. About Blog Theoria was founded in 2015 by an Eastern Orthodox Christian devoted to producing Orthodox content in order to inspire new, renewed, and continued inquiries into the depth of the Eastern Orthodox Church and Her ancient Tradition. Facebook fans 13,496. Twitter followers 278. Toronto, Ontario About Blog Orthodoxy in Dialogue launched in August 2017 to provide a space for the discussion of topics relevant to Orthodox Christianity. Reflective of our commitment to Orthodox, ecumenical, and interfaith dialogue, we publish writers who represent a wide spectrum of interests and perspectives both within and outside the Orthodox Church. About Blog I am Fr. John A. Peck, pastor of All Saints of North America Orthodox Church. This is my personal blog, and its theme is “The Orthodox Church of Tomorrow.” It is the theme and premise of my priesthood that our Lord is building a more vital, more dynamic and more functional church, a radically Orthodox Church on American soil, and that we are participants in this building. About Blog Orthodoxy and the World: Pilgrimages, Missions, Vignettes, Everyday Saints and other Stories by a little city hermit. About Blog This is the blog of an Eastern Orthodox Christian girl from Greece. Here you can find interesting texts and quotes about Orthodoxy. Facebook fans n/a. Twitter followers 2,534. Jordanville, NY About Blog Holy Trinity Publications is the name given to the publishing work of Holy Trinity Monastery in Jordanville, New York. It seeks to make the heritage of Orthodox Russia accessible to all today who seek to live a life of faithfulness to God within His Church. Facebook fans 1,540. Twitter followers 94. Chesterton, IN About Blog Updates and insights on the work and plans of Ancient Faith Ministries. Chesterton, IN About Blog Understanding the old Testament with Jesus and the Apostles. About Blog Fr. John A. Peck, the creator of Good Guys Wear Black, is pastor of All Saints of North America Orthodox Church in Sun City, a suburb of Phoenix, Arizona, and an Orthodox priest under the Patriarch of Constantinople. Good Guys Wear Black is for Orthodox Christian Men Discerning A Vocation. Canada About Blog The Mission of the Orthodox Church in America, the local autocephalous Orthodox Church, is to be faithful in fulfilling the commandment of Christ. Facebook fans 112. Twitter followers 4. About Blog Information on how to live the Orthodox way of life from the Saint George Greek Orthodox Cathedral. This blog offers Articles and information about how to live an Orthodox Christian life. This includes prayer, fasting, repentance, holy communion and the other sacraments of the Eastern Orthodox Church. Trussville, AL About Blog The blog of a Cuban who became an Eastern Orthodox priest. Facebook fans 104. Twitter followers 122. About Blog Ad Orientem is an orthodox christian blog and is published under the spiritual patronage of st. john of san francisco. topics likely to be discussed include matters relating to orthodoxy as well as other religious confessions, politics, economics, social issues and more. California About Blog Become Orthodox is a project to develop a complete online catechetical resource for those inquiring into Orthodox Christianity. Facebook fans n/a. Twitter followers 3,798. Chicago, IL About Blog Old Holy Resurrection is a Serbian Orthodox Church. About Blog The Orthodox Church throughout the ages has maintained the continuity of faith and love with the apostolic community that was founded by Christ and sustained by the Holy Spirit. This is the official website of the Romanian Orthodox Metropolia of the Americas. About Blog Welcome to the Resurrection Greek Orthodox Church Parish Website. On this blog learn about the beauty captured in the Orthodox Faith. About Blog Welcome to historic St. George Serbian Orthodox Church built in the 1920s. The Holy Liturgies and other services at St. George Serbian Orthodox Church are served in both Serbian and English. The liturgical choir sings responses and liturgical music in both English and Slovanic. About Blog Come and Experience the Beauty of Orthodoxy in America at Holy Resurrection Serbian Orthodox Cathedral! Facebook fans 2,789. Twitter followers n/a. About Blog The Orthodox The Orthodox Center for the Advancement of Biblical Studies (OCABS) was established to educate, inspire and challenge the faithful to recognize the centrality of sound biblical interpretation for life in Christ. About Blog Saint Athanasios Greek Orthodox Church was established in 1965 and has enriched the lives of many Eastern Orthodox Christians through countless Divine Liturgies, Sacraments and religious programs. Our church offers many different ministries and programs for all age groups to further spiritual growth and community fellowship. Facebook fans 777. Twitter followers n/a. Bel Air, Maryland About Blog We are an Eastern Orthodox Church. Our hope is that Four Evangelists Orthodox Church will be a house of prayer for all people to meet, know, and worship our Savior Jesus Christ as he taught us, following the liturgical and spiritual practices as handed down through the Orthodox tradition. Facebook fans 111. Twitter followers 57. About Blog St. Nicholas Orthodox Church in Jackson, TN is a mission of the Orthodox Church under the Antiochian Archdiocese of North America. About Blog We are Orthodox Christian Greeks. Because we are Orthodox Christians, we love our country, our people and all the peoples of the earth; this of course includes our African brothers and sisters. About Blog Fr. Steven Kostoff s pastor of Christ the Savior~Holy Spirit Orthodox Church (OCA), Cincinnati Ohio. About Blog I am Matthew an Orthodox blogger, chrismated into the Moscow Patriarchate and member of an OCA parish in Minneapolis. United States About Blog The Orthodox Arts Journal publishes articles and news for the promotion of traditional Orthodox liturgical arts. The Journal covers visual arts, music, liturgical ceremony and texts, and relevant art history and theory. For the revival of traditional liturgical arts in the Orthodox Church. Facebook fans 4,078. Twitter followers 263. About Blog Eastern Orthodox Church serving Northwest Arkansas. About Blog The Society of St John Chrysostom promotes greater appreciation of the spiritual, theological and liturgical traditions of Eastern Christendom, works and prays for the unity of the Churches of East and West, and encourages support for the Eastern Churches. Facebook fans 1,761. Twitter followers n/a. About Blog St Justin Martyr is a mission minded parish of the Diocese of the South, Orthodox Church in America. About Blog My deacon husband and I are working to raise our 3 children in our world of Orthodox Christianity. We homeschool and church school, play and plant, craft and create, and pray, Lord have mercy! About Blog St Vasilios Church Brunswick is a parish of the Greek Orthodox Archdiocese of Australia. The purpose of this site is to keep you informed both of church services and events, and of the teachings of our Lord and Saviour Jesus Christ. About Blog A Christ-centered Orthodox Christian parish in Cottonwood Heights. About Blog Preoccupations and essays by Fr Jonathan Tobias. "Really," said Gregory, superciliously, "the examples you choose --" "I beg your pardon," said Syme grimly, "I forgot we had abolished all conventions." About Blog Our parish’s vision is to grow the Orthodox Church by building a Byzantine-style church with supporting facilities and continuing to plant parishes in the area. About Blog I love adventure and being a mom is definitely an adventure. This blog is my journey through motherhood, seminary life and homeschooling. Mountain View, CA About Blog Comprehensive up-to-date news coverage about Orthodox Christianity, aggregated from sources all over the world by Google News. San Francisco, CA About Blog This subreddit exists for the purpose of discussion of the Eastern Christian Churches and the edification of their members. Facebook fans 1,177,055. Twitter followers 535,937. 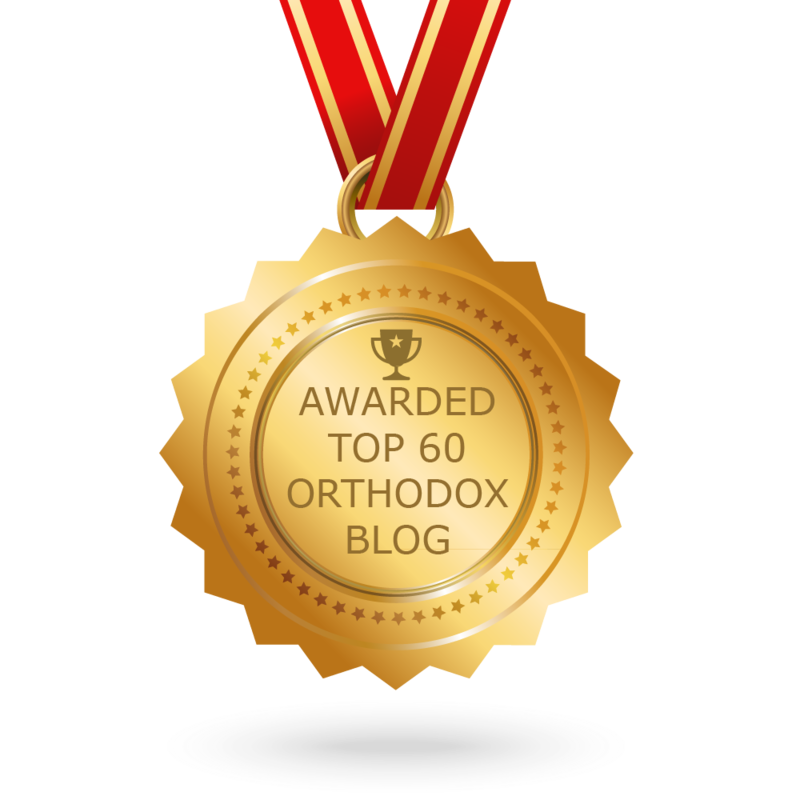 CONGRATULATIONS to every blogger that has made this Top Orthodox Blogs list! This is the most comprehensive list of best Orthodox blogs on the internet and I’m honoured to have you as part of this! I personally give you a high-five and want to thank you for your contribution to this world.